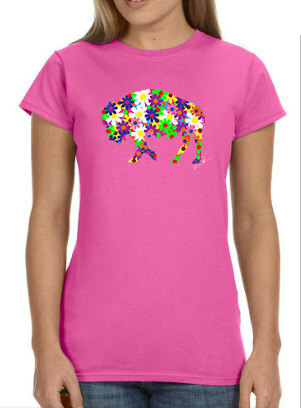 This is one of our best sellers for the buffalo lovers or lovers of the city of Buffalo. 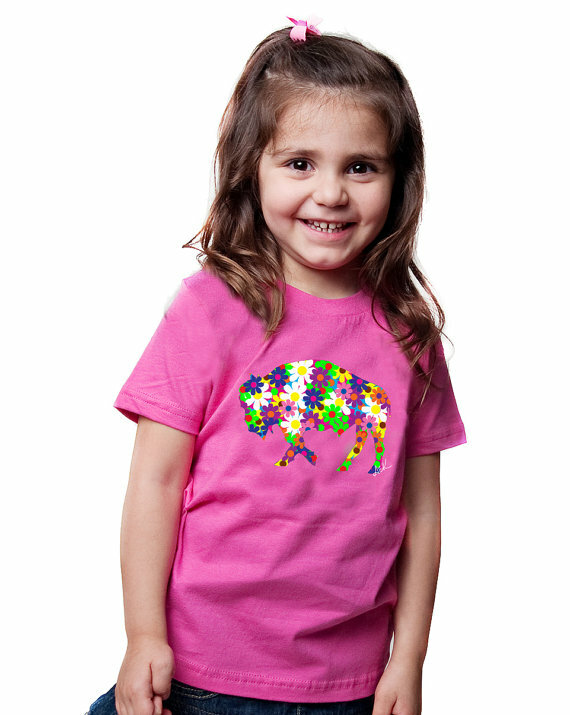 This sweet, colorful, flower buffalo from artist, Alison Kurek, would look adorable on your little one. 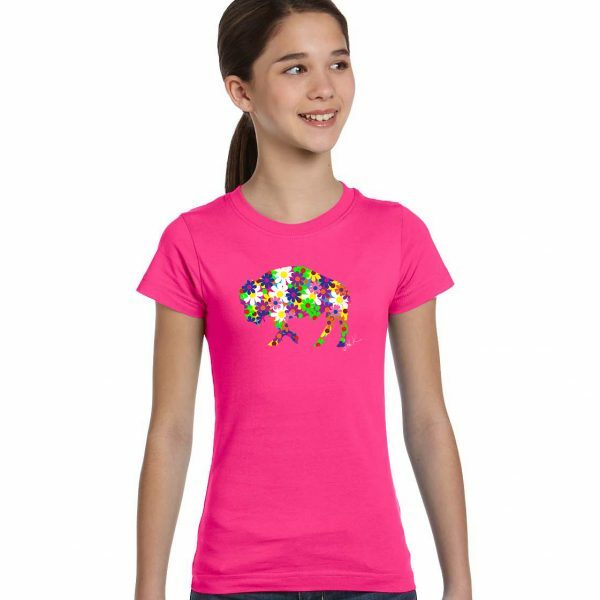 Comes in all sizes from infant to adult t-shirts. 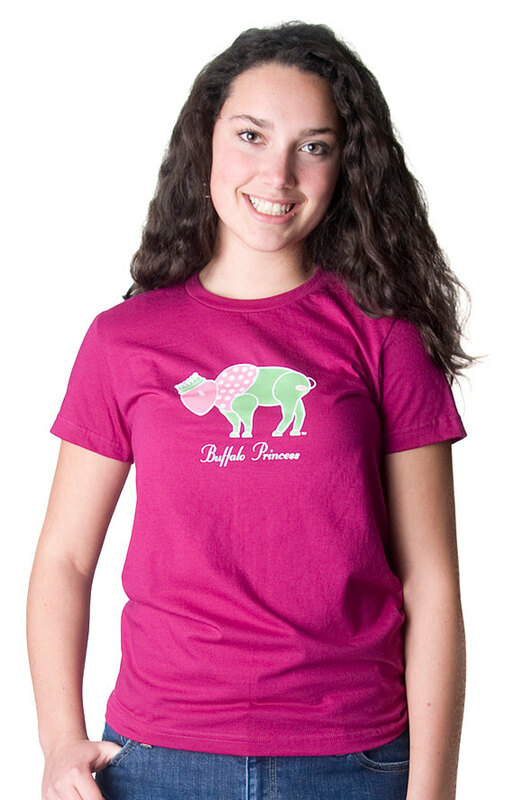 Infant one piece comes in light pink. 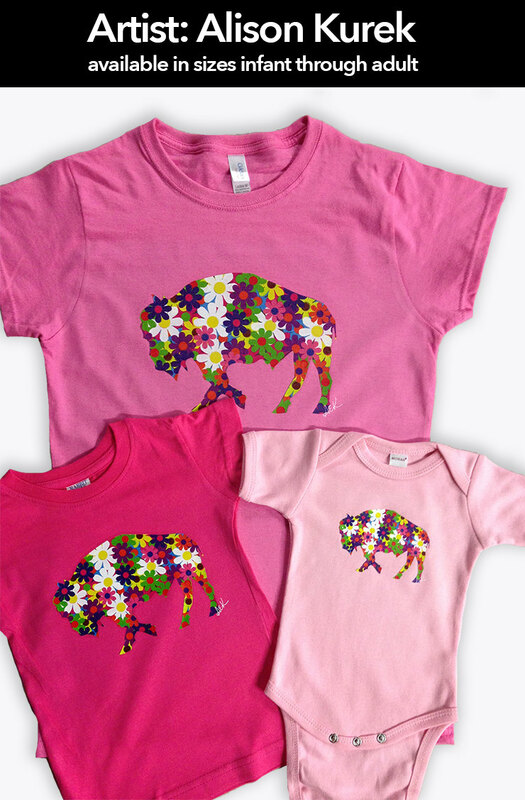 Be the first to review “Flower Buffalo Onesie by Alison Kurek” Click here to cancel reply.